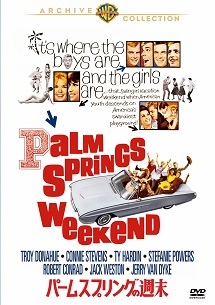 Palm Springs Weekend （ｃ） 1963/Renewed （ｃ） 1991,Package Design ? 2018 Warner Bros. Entertainment Inc. Distributed by Warner Home Video Inc. All rights reserved.